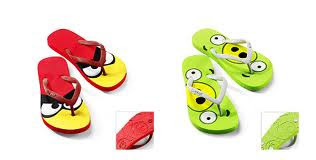 The mobile game sensation Angry Birds has spawned a whole industry of plushies, games, shirts, costumes, and even these flip flops! What is the next game to capture the public imagination? Our Walmart.com toy merchant, was pitched by a vendor on Fruit Ninjas. Like Angry Birds, Fruit Ninjas is a fun and whimsical game and it is ranked as the #4 game on the Apple AppStore right now. According to social media trends, it has a quite a bit further to go until it’s a real pop-culture phenomena like Angry Birds. For now Angry Birds still rule the roost. What are the must-have toys that everyone is talking about this season? 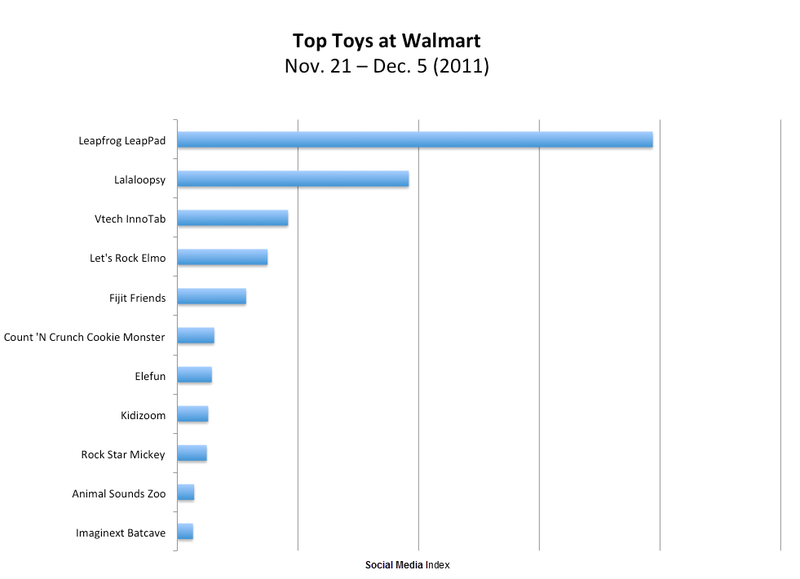 To figure out what to add to our shopping lists, we tracked the social media chatter about Walmart's Hot Holiday Toys. Discussions about the LeapPad, the educational tablet from LeapFrog, and the competing Innotab from VTech continue to surge and from the looks of it are selling out fast. There must be alot of parents who are afraid to hand over their iPads to their 3 year-olds! Lalaloopsy, the magical rag dolls, have been popular in social discussions the entire holiday season but have breaking out this last week. Have you seen the new Let's Rock Elmo? He sings, he dances, he wirelessly interacts with his musical instruments. In short, Elmo rocks! 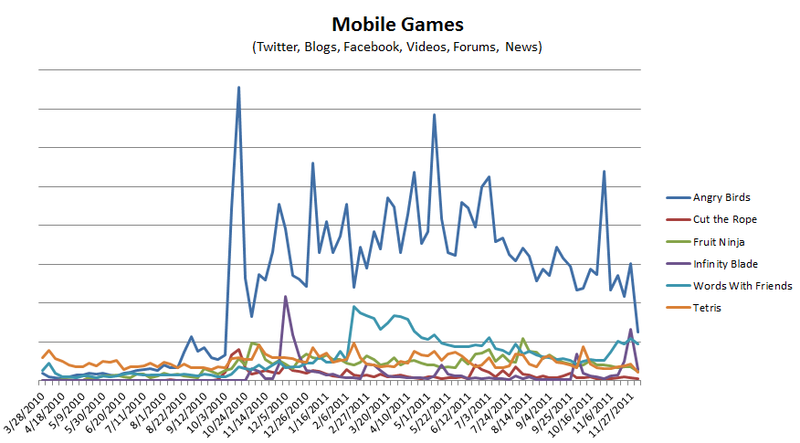 It's no wonder that Elmo social media buzz has been climbing fast. 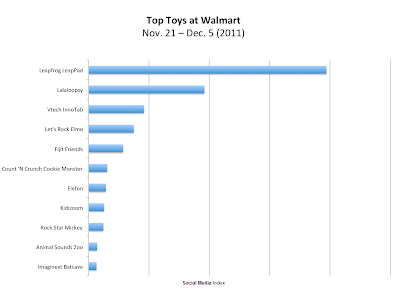 Here's how the other Hot Holiday Toys stack up on our Social Media Index. Over the Thanksgiving holidays, shoppers lined up at stores like Toys "R" Us to snag some of the hottest toys of the season. With the black friday shopping frenzy behind us, we looked into the social media buzz behind some of the most popular toys. After looking at this holiday season's most desired toys, it's clear that there is a rising trend in remote-controlled toys. These toys, such as Air Swimmers, Air Hogs, and Syma Helicopters are climbing to the top of many children's (and adults') holiday wish lists. According to the trends over the past 90 days, Syma Helicopters are at the top of the list with the strongest Social Media Index. Evident in the graph below, remote-controlled toys, especially Air Swimmers, seem to be trending upwards and could turn out to be among the most popular holiday gifts this year. In case you are wondering, Air Swimmers (released July 2011) are remote controlled, helium filled clown fish and sharks that swim through the air in a very realistic swimming motion. 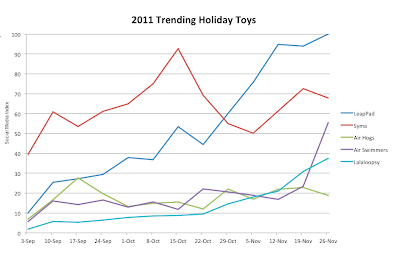 The chart below provides a breakdown of the social media buzz for some of the top trending toys this season. 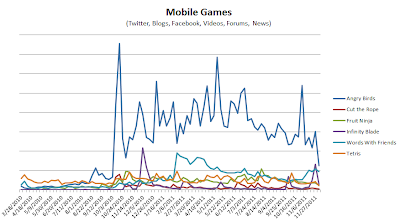 Syma Helicopters have the strongest share of the social media buzz, followed by LeapPad and Air Swimmers.